Shop › News › Another Chance to Win!!! Yes we just ended one giveaway to start another one! This is a chance to win a FREE shopping admission to the Everything Embroidery Market. 5 of ways to win. 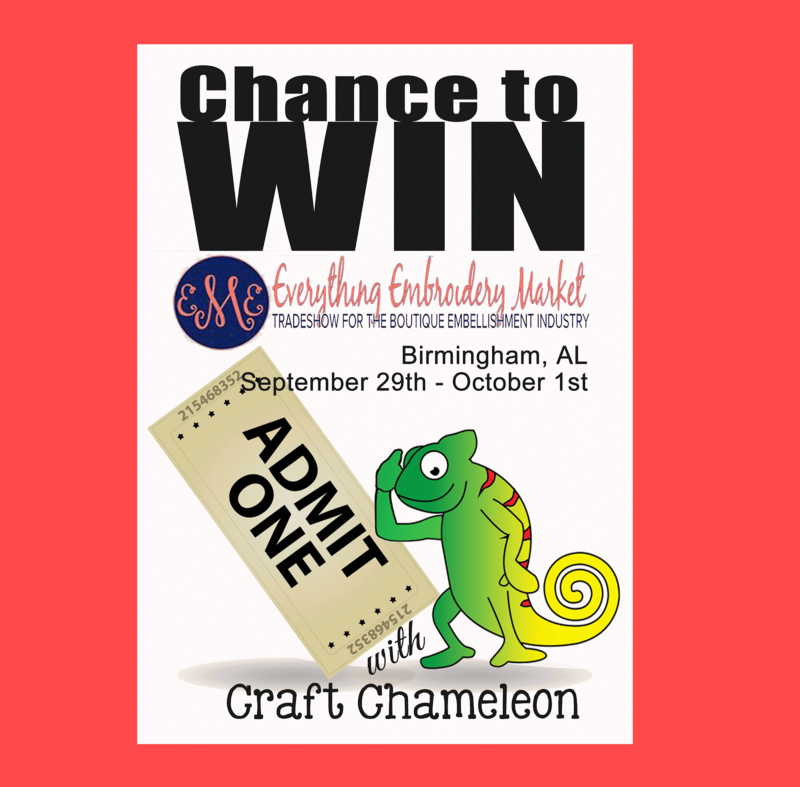 Entry form is on the rotating marquee on the website, www.craftchameleon.com .